Being on winter break, I actually forgot what day it was. I spent all yesterday doing absolutely nothing. I stayed in my pjs, didn’t do my hair or makeup and just binged watched Netflix shows. Sometimes you just need one of those days to fully feel relaxed! I’ve been obsessed with the midi skirt trend, so the moment I saw this pleated gold option, I knew I had to order it! 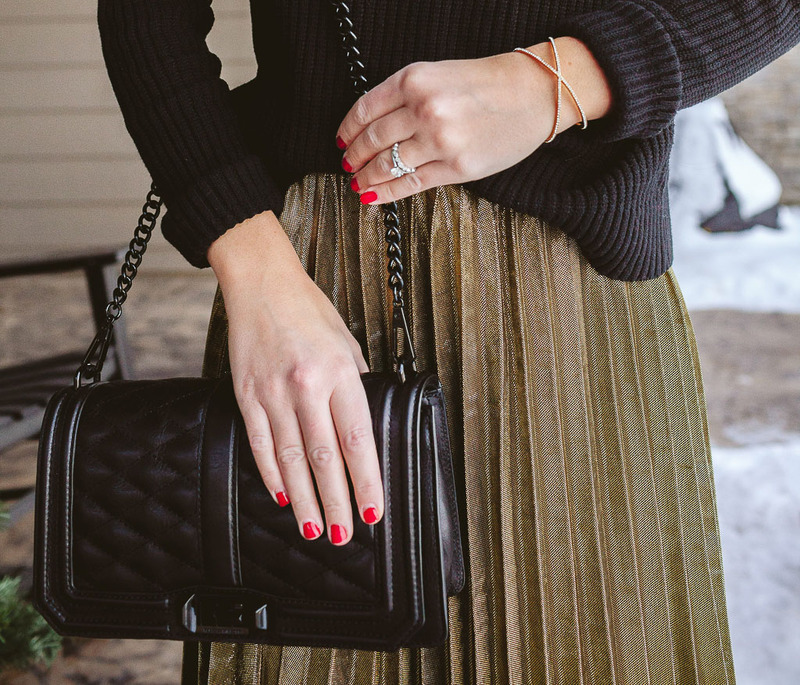 This is such a fun skirt for the holidays or even a winter date night! I styled it with an easy black sweater (this one is currently on sale for under $30) for the perfect NYE look, but have also worn it with a loose tank and faux leather jacket for date night with the hubs. At just $25 this is a fun piece to add to your wardrobe to mix things up this winter!